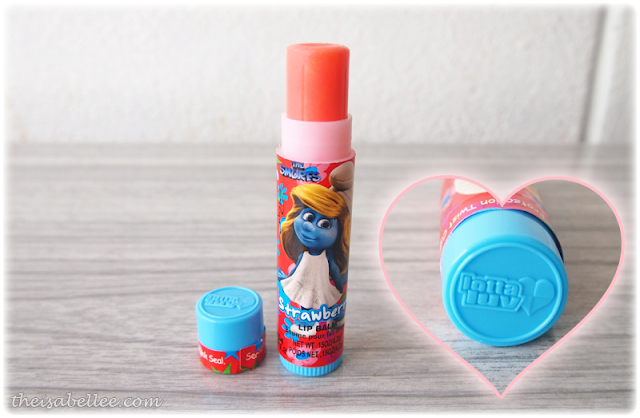 Look what arrived in my mail~ Flavoured Lip Balm from The Smurfs! 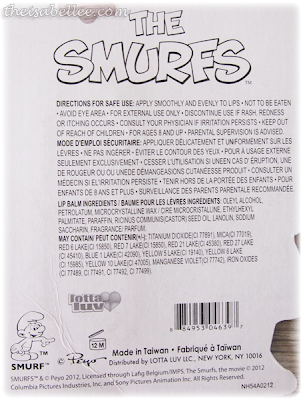 I think Smurfette is absolutely smurfing pretty. *gasp* The lip balm itself is a peachy colour! It's just a colour but I love that it's such a girly colour. Feel happy just looking at it when I apply xD So much better than just plain white waxy looking ones.. So cute can.. Great for Smurf fans! Smells really good of sweet strawberries x_x Kinda like my favourite strawberry lollipops. It doesn't melt or become oily so it's perfect under lipstick. 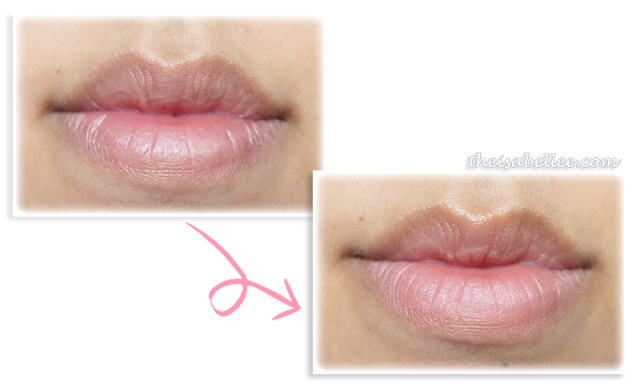 I wouldn't say it's waxy either, just a protective balm that softens and moisturizes my dry lips.